Camping Spineuse Neufchâteau находится в Neufchâteau, Люксембург, расположен На реке/ручье и По озеру / облагороженному пруду. кемпинг предлагает местa Выделенные, в тени, Без тени и Площадки с небольшим количеством тени. Предлагаются в аренду Дома на колесах. В кемпинге есть Игровая площадка и Спортивная площадка. Этот инспектор посещает каждый год Camping Spineuse Neufchâteau и проверяет кемпинг по более 200 элементов инфраструктуры и услуг и другим критериям.Инспектор является сотрудником ACSI и не имеет никаких обязательств перед кемпингом. A lovely peaceful site not too far from the motorway. Lots for kids to do and very dog friendly. Nice bar/bistro. The bistro serves a limited menu (burger, kebeb, ...) but it is nicely cooked and reasonably priced. Friendly, helpful owners. We stayed for 1 night on our way South, but wished we\'d had time to stay longer. This was a great find. I had stopped off at two other campsites before pitching up here, the others were just too noisy. I requested a quite spot and the manager took me to an area first to check it out. Has a great little bistro and bar. I was not going to eat there but then I saw the food coming out of the kitchen. Great steak. Portions are also Masive, so I requested that they go lite on the chips. I am solo traveler on a motorbike on route from uk to Germany. The site was small, clean and very peaceful. It made an excellent first night stopover from Calais and we would certainly use it again. The reception was friendly and we were able to order bread & croissants. There was a bar and restaurant with food available as take away or eat in. The site was well cared for and had game birds and rabbits running loose around it. There was also a lovely dog walk. The shower and toilet block were very clean. Spacious site with pleasant walking areas and natural surroundings. Good restaurant/bar. The staff are friendly and helpful. One of the first campsites we visited in Belgium and one that we return to whenever we can. A very quiet and peaceful site in lovely surroundings. It was a little like a setting from the 'Darling Buds of May'. Domestic rabbits ducks and chickens running about throughout the site. The toilet and wash areas are adequate and clean but in need of upgrading. Plenty of hot water at all times. The owners were very hospitable and spoke good English. There is a river and the small well stocked lake can be fished free of charge with no licensed required. Also a bonus was the free Wi-Fi on all pitches. A site that we will return to when in the area. The setting is like the 'Darling Buds of May' with chicken, ducks and domestic rabbits running throughout the site. The park-like layout is very peaceful and it feels like it is a nature reserve, also a fishing lake (free to use) and river. The facilities were adequate and clean but need an update. The same applies to the washing up area etc. Water temperature can not be adjusted in the showers but is warm enough. The Dutch owners and family all speak perfect English. Free Wi-Fi is a bonus. We very much enjoyed this peaceful site. Not sure what it would be like when full in peak season. We would certainly return. Хотите забронировать место в кемпинге Camping Spineuse Neufchâteau или Вам нужна дополнительная информация? См. информацию ниже. 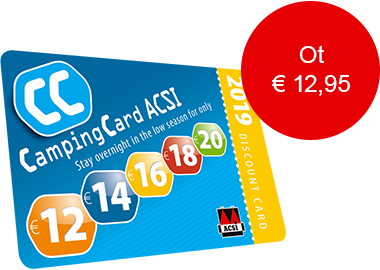 ACSI Eurocampings переправляет ваш запрос информации в "Camping Spineuse Neufchâteau".